French Reality at the Stanley Headwall. Approach: Park at the Stanley Glacier Trail parking lot (signed), about 15 minutes along Highway 93S heading towards Radium from the Trans-Canada Highway. Hike up the trail for about an hour until almost below the route, then work you way up slopes on the right that eventually lead to a steep traverse ledge above the first small cliff band. 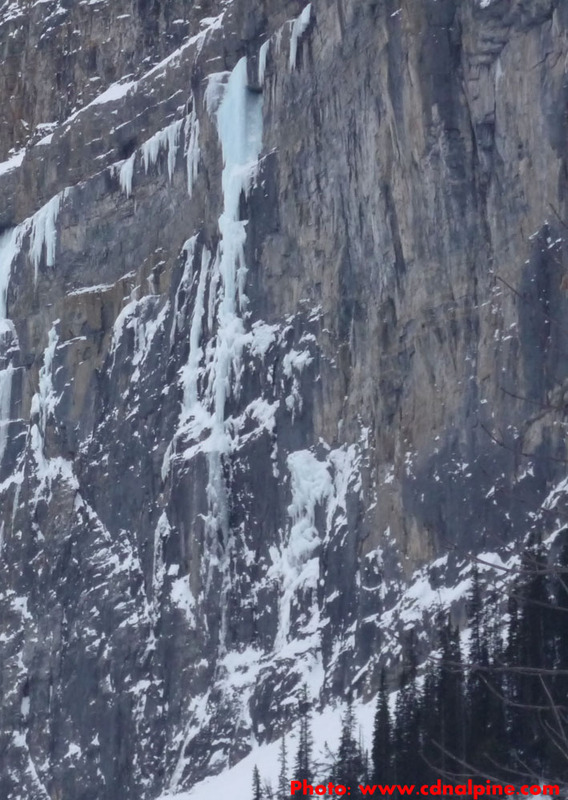 There are a few bolts on the traverse ledge that allow for a running belay. It can be dangerous in poor snow conditions. Skis are usually required for the approach except early season. 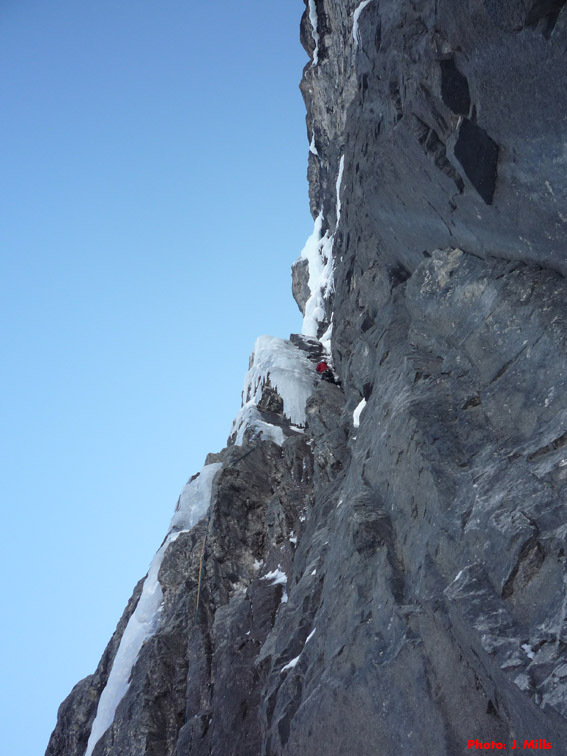 Route Description: An excellent climb at the Stanley Headwall, and a good introduction to the harder climbing in the area. Climb a short mixed corner to reach the main cliffs. Next, climb a long pitch of 5.8 WI5 up a groove with generally good gear. 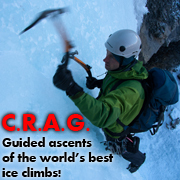 Climb two pitches of very steep ice to reach the top. Climber nearing the top of the long mixed pitch. Gear: Screws including stubbies, rock rack. 2 ropes recommended. Objective Hazards: Lots of avalanche terrain on the approach as well as from above.